Tweet, like, comment, share, follow, unfollow, hang out, Skype, snap, chat, trend, connect, upload, download, instagram, pin, activate, login, create, consume, poke, hashtag, emoji, share, post, notify, message and code. The above is just a small list of ways to interact with social media, which, as I type, is more than likely adapting, morphing and evolving faster than I can keep abreast of what the benefits and pitfalls, might be. The potential for teaching and learning in this digital environment is endless. However, with this great potential also comes great risk. Over the last few years, my colleagues in schools around the country (and offshore) have encountered numerous scenarios, just with Facebook and Youtube alone, that have had the potential to turn pear shape. Incidents from; cyber bullying, underage accounts (and subsequent inappropriate 'friends' that raise concerns around child protection), parental 'rants' that go viral and bring a schools reputation into question, and videos uploaded that show slanted and edited situations, oftentimes without permission from the participants, to name a few. As a leader, the responsibility for mitigating these risks predominately falls on my shoulders. Sometimes social media is a device used to harm and sometimes an uninformed post written in haste or anger, or a small snippet of video without the context included, has the ability to inflame, incite and go viral. The unintended consequences can go from ripple to tidal wave in a short time. 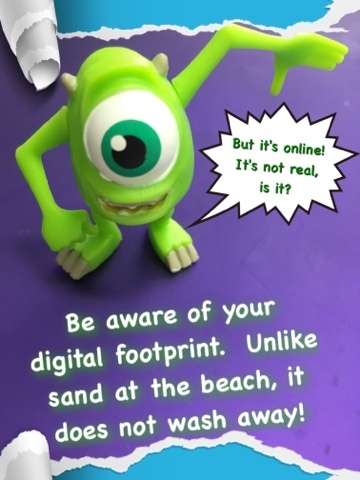 In that post, I outlined eight things to consider before posting on social media, and I concluded that it was timely to work with our communities to 'consider their online footprint and etiquette' (Thompson, 2015). The reason I wrote that post in the first place was because it really struck me that, there but for the good graces of the Universe go any of our schools. At any time, any one of us could be undergoing a PR nightmare caused by a rogue social media post. It made me reflect on my own practice, and given we were about to undertake a BYOD trail soon, look closely at our systems for risk mitigation. In addition, the new Health and Safety laws were coming close to implementation, including the Vulnerable Children Act. The more I discuss issues with colleagues and read about them in the media, the more I notice that they share a number of commonalities. They can go viral faster than you can say 'Netsafe'! We are fortunate in New Zealand in that we have access to a large number of resources that we can utilise to assist us when we are faced with situations where we need to address any issues that may occur. The Ministry of Education, Netsafe and the Education Council all have a myriad of resources schools can use to ensure they have the policies, procedures and professional development in place to mitigate risk for their students, staff and community. These are important tools to use in order to navigate the ethical and legal risks that may arise should an issue impact on the wellbeing of a school. Whilst a procedure or policy is not a fool proof guarantee, the old adage by Benjamin Franklin, "By failing to prepare, you are preparing to fail", applies, even though it was written well over two centuries ago! As a leader, my first port of call is to work towards prevention of an issue, however, should a situation like the above arise, then I would rely on the policies, procedures and resources at my disposal. Tools of mass distraction, black holes of despair or avenues of great potential? I am of the opinion that it is a mix of all three and as educators it is our professional responsibility to ensure that we understand the implications distraction, despair and potential has within our practice. As teachers, leaders and implementers, we need to keep abreast of both the potentials and pitfalls, ensuring we have the tools, policies and procedures we need to keep our students, staff and community safe. I like the idea of the cluster coming up with a collective response! It takes the heat out of it somewhat. What's most frustrating is how much damage these comments make and how the people commenting fail to see that damage or realise they are part of the problem, bullying themselves! Agree!! It's like sailing into uncharted waters without enough prep or survival equipment or back up. Expect and be prepared for adverse things to happen and have response plans prepared because the variables at play are huge. It's not a question of 'if' big waves will hit, but when. Agreed, it is a case of when, not if. An informative blog like this is important for public disscusion. It includes various information about law and order and its influence on the society.